Baltimore Body Cameras Making Impact – Are Police Treating You Fairly? The increased adoption of body cameras among Maryland police appears to have potentially caught up with at least one officer. Amid evidence that the officer in question—Richard Pinheiro—planted drugs in a bid to warrant arrest, Baltimore prosecutors are dismissing gun and drug charges of a felony nature in at least 34 cases on account of the testimony collected from Pinheiro and two other officers who remain on administrative duty while investigation takes place. If you’re located in the Charles County area and face charges of any sort, it’s critical that you seek the aid of a local attorney who can hold police accountable. A body camera worn by the officer appears to have captured what may have been a nefarious attempt to plant evidence on or near the suspect in question. Because said cameras record events 30 seconds prior explicit activation (temporarily sans audio capture), the attempt seems to have been unintentionally documented. As a result, the officers called to the scene are now under scrutiny. “We are dismissing those cases which relied exclusively on the credibility of these officers,” explained State Attorney Marilyn Mosby. In some dozen others cases, charges will likely stand as per the presence of additional and more incontrovertible evidence. On account of distinctive review performed with respect to each of the cases in question, prosecutors determined that the officers’ testimony was too indispensable to try the cases amid what can only be described as indemnification of their credibility. It remains to be seen whether the officers on site with Pinheiro—Hovhannes Simonyan and Jamal Brunson—were aware of the actions in question. Police union officials were themselves reluctant to reach a final conclusion, speculating that the filmed placement of illicit drugs may have been a reenactment of a prior incident and that drugs had previously been located in the same backyard of the suspect in question. As it experiences a record number of per capita homicides, Baltimore is paying increasing attention to crime and those who police it. The body cameras have generally been constructive with respect to how police do their jobs. Due process is no joke. Police must read Miranda Rights to suspects amid arrest wherein they are informed of their entitlement to silence and otherwise instructed of their right to have an attorney present when questioned. Police must also adopt carefully warranted procedures when searching for evidence and legitimately document what they find. 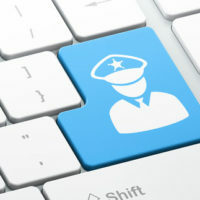 In short, while it may initially appear that you are in trouble with the law, police still must do their jobs correctly in accordance with your basic rights. 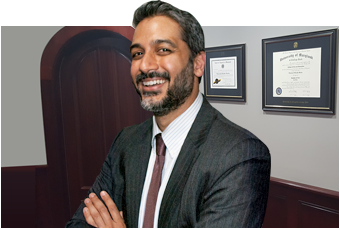 If you have recently experienced a run-in with the law and require consultation or representation from a Charles County attorney, don’t hesitate to reach out to the Law Office of Hamad S. Matin, P.A. for assistance. We are prepared to advocate aggressively on your behalf and protect your rights throughout each step of your case.